Warm wishes for Merry Christmas and a Happy New Year with health and creative spirit! 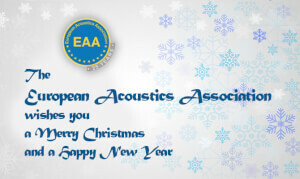 Attached you will find the letter of the President of European Acoustics Association, including the christmas wishes, to all colleagues of EAA. 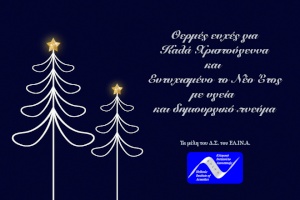 The Nuntius newsletter next volume (December 2017 | N° 12/2017) of the European Acoustics Association has been published. The new issue of the journal Acta Acustica united with Acustica (Issue 6, Volume 103) is availlable online by Ingenta Connect. Issue 6 is consisted of 11 articles on “Non Destructive Evaluation, Characterization and Testing using Ultrasound and Acoustics” scientific thematic. The Nuntius newsletter next volume (October 2017) of the European Acoustics Association has been published. The paper submission system for EURONOISE 2018 is now open. 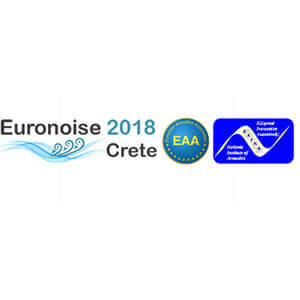 Euronoise is the European Conference and Exhibition on Noise Control organised by a national acoustical society on behalf of the European Acoustics Association (EAA). 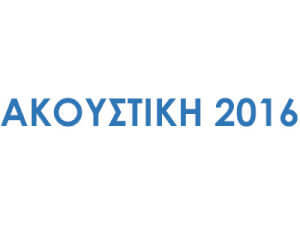 For information on the Conference and the paper submission system please visit the Conference web-site www.euronoise2018.eu. Issue 4 of Volume 103 is now available on Ingenta Connect. http://www.ingentaconnect.com/. In this issue, a special section is dedicated on Smart Mobility and Urban Noise. 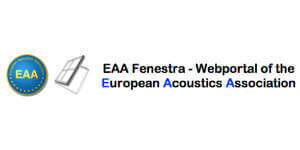 The Nuntius newsletter next volume (May 2017) of the European Acoustics Association has been published. Newsletter Helina - May 2017 is released. The Nuntius newsletter next volume (April 2017) of the European Acoustics Association has been published. 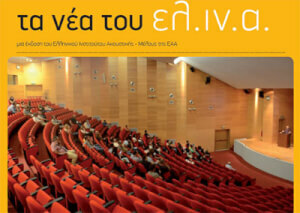 The Book of Abstracts regarding the Conference "Acoustics 2016" has been released. The new issue of the Acta Acustica united with Acustica (Vol. 103, Issue 2) is published at the Ingenta Connect platform. The EAA INAD 2017 Steering Committee, in cooperation with the National Representatives for INAD2017, is launching this competition open to students of all schools of European Countries aiming at raising awareness on sounds and noise characterizing landscapes and soundscapes all along Europe. The new issue of the Acta Acustica united with Acustica (Vol. 103, Issue 1) is published at the Ingenta Connect platform. The new issue of the Acta Acustica united with Acustica (Vol. 102, Issue 6) is published at the Ingenta Connect platform. Forum Acusticum will be held 25-29 June 2017 in Boston.